Organic Helichrysum distilled for the express purpose of making Hydrosol. Unlike "Plant Water" that is just plant material soaked in water, the process of distillation releases volatile oil compounds from the flowers, making them readily available to your skin. This is great for Redness + Reactive Skin + Scarring + Fine Lines + Age Spots + General Regeneration. Helichrysum is also known as Immortelle. It is the go-to botanical for Ant-Aging + Soothing + Regenerating it is epic for Redness as well. Your skin needs a balance of oil + water to function in a healthy manner. When I made my transition to natural skincare, I dove head first into botanical oils. I was so enamored of how they felt on my skin and how they made it look, but there was something missing. I Oil Cleanse my face in the evening, and many nights I would just follow up with my MISBEHAVING FACE SERUM and TANSY + CHAMOMILE BEAUTY BALM. I was using a ton of amazing botanical oils, but my skin still seemed dehydrated. Adding a hydration step made all the difference. 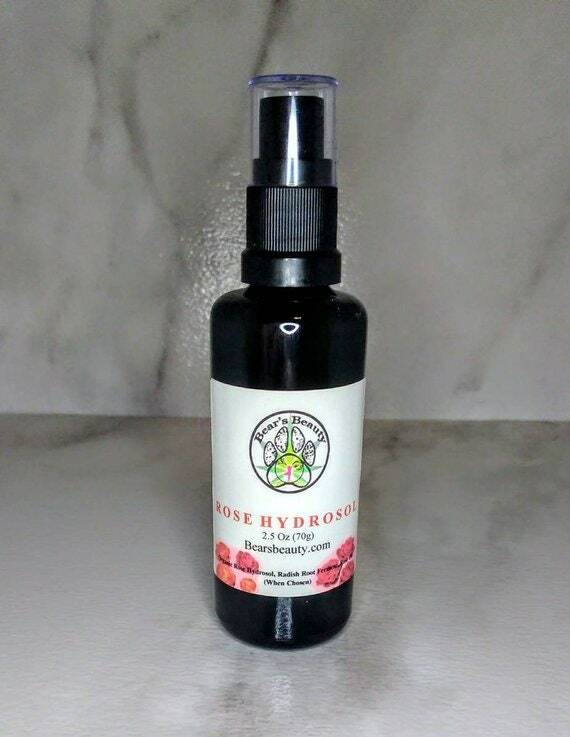 When you mist your clean skin with an Organic Hydrosol and then apply a light oil over top, you seal in all that beautiful hydration and give your skin the drink it needs. The smell is unique, almost like honey and hay, but once you see what it does for your skin, it is well worth the unique herbal aroma. Organic Helichrysum Hydrosol has a unique almost honey + tea scent. Made from the Organic Flowers of the plant, also known as Immortelle, has amazing anti-aging and anti-inflammatory benefits for all skin types. Organic Helichrysum Hydrosol helps to tone + moisturize + soothe irritation + reduce signs of aging. Helichrysum is also known as Immortelle, it is intensely regenerative. It helps tone skin + tighten pores + reduce redness + irritation + scarring.